The Denon DN-F650R is a highly versatile professional solid state recorder offering recording to and between SD/SDHC flash card and USB devices. Designed to fulfil the most demanding playback and recording applications in AV installation, audio production, live sound, theatre and broadcast, the DN-F650R is a professionally specified, up to date replacement for cassette, DAT, MD, CDR and PC based systems currently fulfilling such roles. 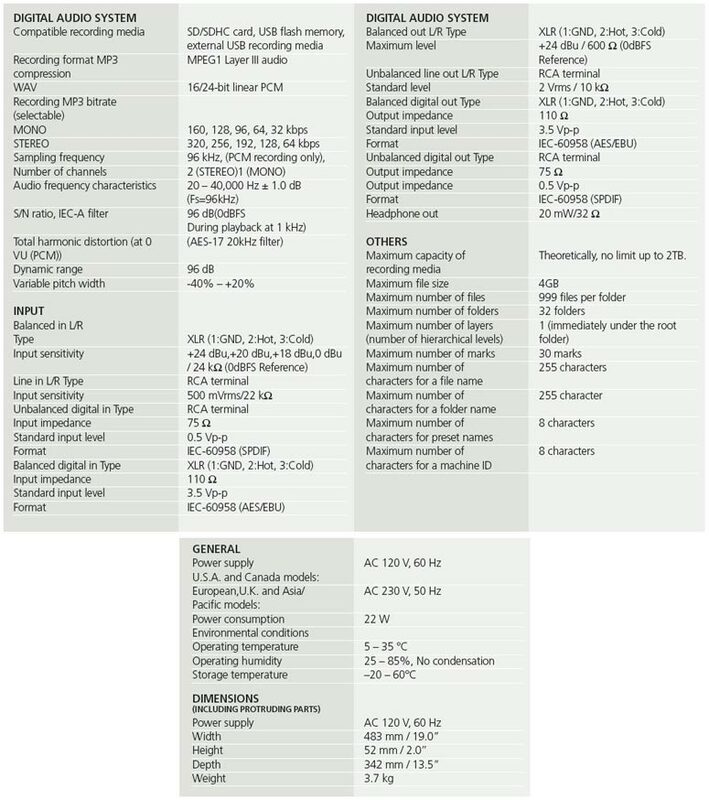 Balanced XLR analogue audio and AES/EBU digital I/Os are featured, as well as unbalanced analogue and SPDIF connectivity. Serial, parallel and contact closure remote control are supported, and the unit can be operated with Denon’s optional RC-F400S ‘Hot Start’ serial remote controller (see below). The OLED display and easy file search jog wheel enable simple front panel operation. A USB Keyboard input allows for simple file name editing. A variety of playback modes includes single, repeat, random, continuous and skip back play. Pitch control (between +20 and –40%), tempo lock, and a headphone out with volume control are also included. 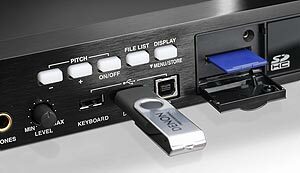 Cascade recording and file management capabilities between the SD/SDHC card and connected USB drive, and USB connectivity to PC enables file transfers. Our thanks to our official suppliers, D&M Professional, Denon's UK distributor, for use of their video.